Escape with Wild Coast Horseback Adventures for the most exhilarating, exciting and glorious riding holiday in the world. Discover the rural wilderness of the South African Wild Coast, one sweeping bay after another – rolling hillsides, river crossings and warm lagoons; experience riding amongst non-dangerous game as you crisscross a private game reserve. Live the life at Sunray Farm. After an exhilarating day of riding, you will relax and enjoy an evening resting comfortably in a seaside resort hotel or private game lodge. 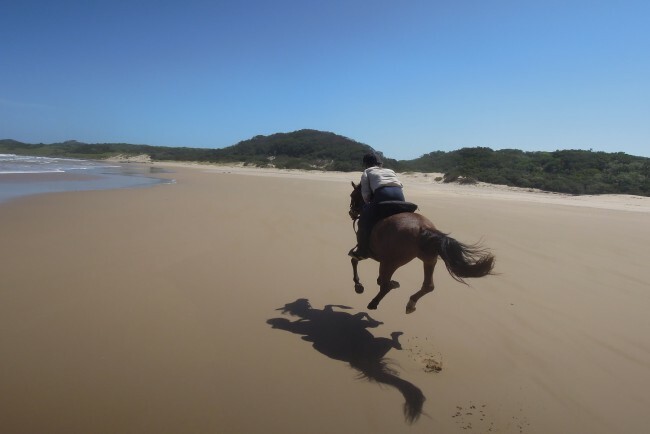 Wild Coast Horse Trails is South Africa’s premier beach riding holiday destination and caters to all levels – from novice to experienced riders.